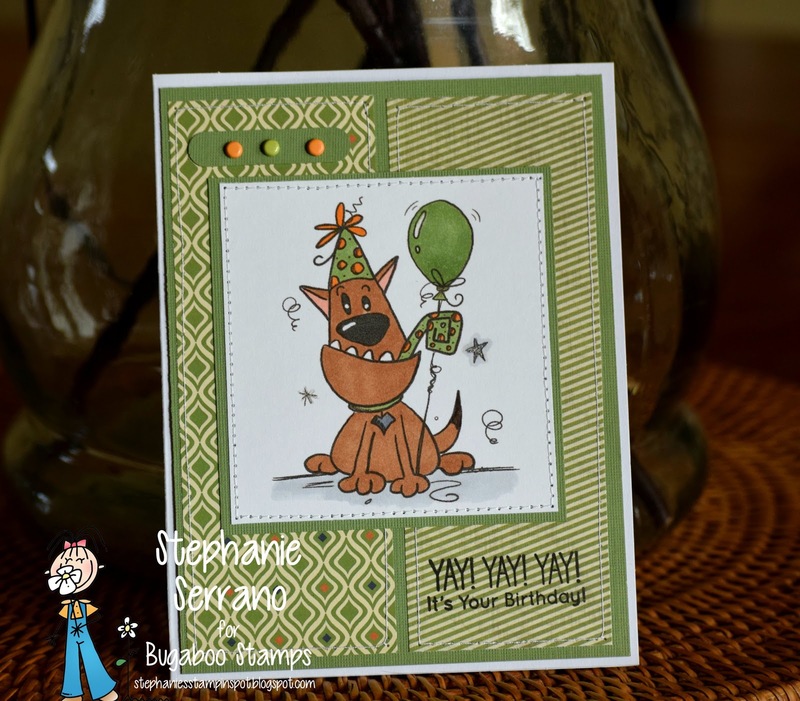 Stephanie's Stampin Spot! : Yay, It's your Birthday! 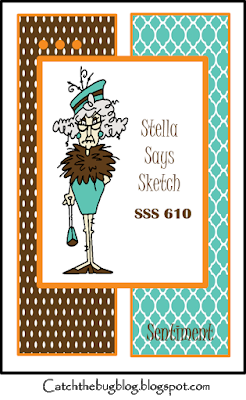 We start a new Stella Says Sketch Challenge today over on the Catch The Bug Blog. For my image I am using Charlie Birthday, colored with copics and the paper is from The Paper Studios. Play along with us for your chance at 4,7,or 10 digi images from Bug-A-Boo Stamps. If you have a bug image we would love it if you would use it but it is not mandatory so play along and have FUN! I loved this card Stephanie. Great paper, cute sentiment and I just love Charlie Birthday. So cute! This is so fun. Love the papers with your pooch. Hello... it’s so lovely to see you have shared one of your gorgeous cards with us. 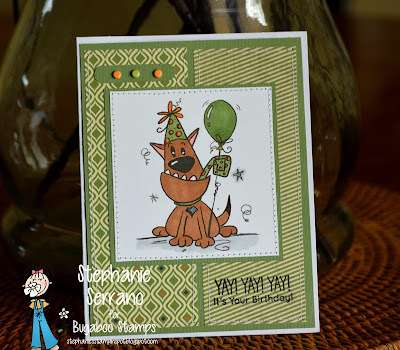 Thanks for entering your fun dog card into our ‘Animals’ Challenge. Good luck in the draw and hope you will come back again soon. Great card - thanks for sharing it with us at the Crafty Friends Challenge.